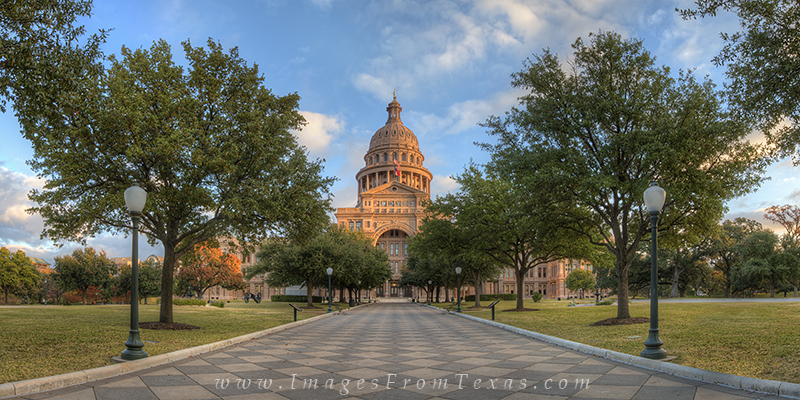 On the day after Thanksgiving, the State Capitol of Texas was quiet in the early morning. This panorama is a stitch of several images as soft clouds floated by in the cool Autumn sunlight. Photo © copyright by Rob Greebon.